WEATHER: CLOUDY with some sunny spells and periods of rain. We were glad that we were travelling today with the weather being dull and wet for most of the day. We spent a short spell on the hotel terrace after breakfast before loading onto the bus for the first stage of our long journey to the coast. Our first stop was made just after passing through Rissani after about an hour on the road, we were dropped off at one end of a huge flat plateau. We walked the entire length of the plateau to where our bus was waiting, it was a distance of about 3km. The target species were Crowned Sandgrouse and Thick-billed Lark but any bird was welcome for the day list. It wasn’t long before we heard Spotted Sandgrouse but it took a fair old time before we pinned them down, it was a big area and with a light breeze the sound travelled quite far. We found a dozen or so Spotted Sandgrouse on the ground and a few more in the air but no sight nor sound was made of the Crowned Sandgrouse. 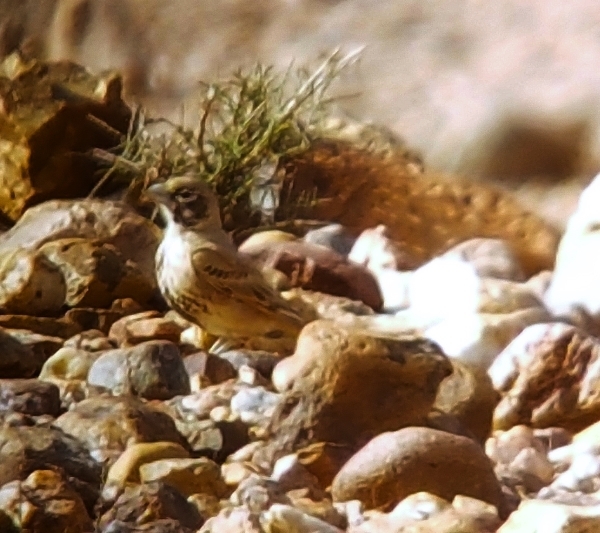 We did plenty of other species especially Desert and Bar-tailed Larks. Wheatears were all over the place too, we saw Northern, Black-eared, Desert, and White-crowned, also Trumpeter Finch, Subalpine Warbler and finally the group all saw a Spectacled Warbler. One person found a single Thick-billed Lark but no-one else got a sighting of it. Back at the bus we realised that we spent far too much time birding, we had a very long to travel so we set off with the intention of putting some kilometers on the clock. We drove for about 3 hours making one toilet stop, one lunch shopping stop and one coffee stop. We ate lunch on the bus as we travelled further towards the coast. 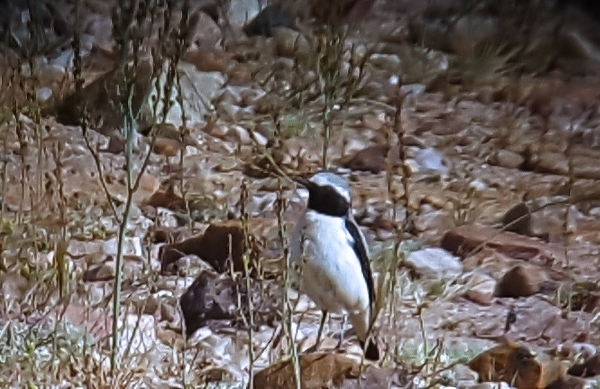 Birds seen en-route included both species of Bee-eater, Blue-cheeked and European, also Long-legged Buzzard, Laughing Dove, Common Redstart, Common Kestrel, lots of sightings of Wheatears and Larks. 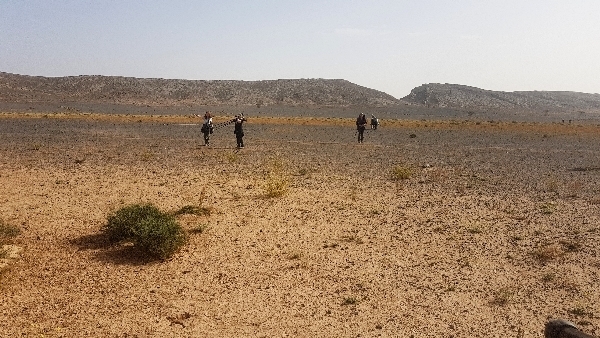 We then stopped for our birding of the day at a huge open plain just west of Taznakt, it was ahuge area and we could only cover a small section of it, but our hard work paid off. We saw several nie species inluding a small number of Cfream-coloured Coursers, lots of wheatears including oiur third Sebohms of the trip and a good number of larks. But the prie sighting was of Thick-billed :Lark, we all had excellent views of four or five of this elusive species, hooray, thanks to Vanda for finding them! We arrived at our hotel in Taliouine around 6:45pm the long day was over, after some confusion about rooms we all sat down to a nice dinner and a cold beer.